 Center for Inquiry Michigan is committed to ensuring that all members and attendees are physically safe, free from hostility and harassment, valued and respected, and treated equally, in a friendly, welcoming environment at our events. We value full participation for all attendees at our events, including individuals with disabilities. Nearly all CFI Michigan events are open to the public, and CFI Membership is not required to attend. Our events are organized primarily for the benefit of our members, the majority of whom are humanists, atheists, agnostics, and skeptics, and for those who support CFI’s mission of fostering a secular society based on science, reason, freedom of inquiry, and humanist values. CFI Michigan also provides a secular community for our members and supporters to have opportunities to engage with other like-minded people to learn, discuss, and enjoy life from a secular perspective—free of the promotion of religion, spirituality, pseudoscience, or anti-humanist values. Civil dialogue is a core value in all of our programming and our events provide a forum for participants to engage in polite, respectful discussion and debate on and a wide range of topics. While it is acceptable to critique particular views and claims based on their merits, or lack thereof, it is not acceptable to directly attack individuals holding a particular or differing viewpoint. While our community is generally receptive to entertaining occasional questions and comments during events from those who hold religious or pseudo-scientific beliefs, it is not appropriate for a person to attend CFI events with the intention or purpose of promoting such beliefs. It would also be unwelcome at most events for a person to repeatedly or persistently make claims, comments, and questions that are antithetical to or critical of the mission, purpose, and activities of CFI. CFI recognizes that hostile and harassing behavior falls on a spectrum of severity and that unwelcome behavior can present itself publicly or privately, online or offline, before, during, and after events. An ongoing pattern of socially inappropriate or disruptive behavior can also be considered harassment. A person who engages in disruptive, hostile or harassing behavior, whether it is displayed publicly, to a small group, or one-on-one, may be asked to leave, and if necessary, to not attend future events or participate in other CFI activities. These expectations apply to speakers, staff, volunteers, and attendees. They are implemented in accordance with Center for Inquiry’s Policy on Hostile Conduct/Harassment at Conferences and Events. Persons who are the targets of, or witnesses to, any violations of these expectations or hostile/harassing conduct should contact CFI Michigan staff in a timely fashion at michigan@centerforinquiry.org. If the violation occurs before/during/after an event please speak to a CFI Staff person, Event Host, Advisory Board member or Event Volunteer right away, so that the issue can be promptly addressed. We try to ensure that the venues for our events are accessible to individuals with disabilities, and if an event is not fully accessible we will list the limitations in the event details. If you have questions or need to request reasonable accommodations for a particular event please contact the event host listed for the specific event or Jennifer Beahan at jbeahan@centerforinquiry.org or 616-706-2029. We appreciate having as much notice as possible in order to facilitate the needed accommodations and, if possible, we ask that these requests be made at least three days prior to the event date.